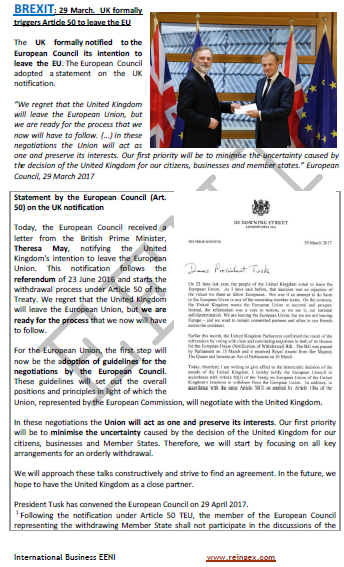 Note: Any European student, regardless of whether or not is a member of the EU, must know the basic principles of the European Union, the largest single market in the world, since all the European non-EU countries maintain close trade relations with the EU. 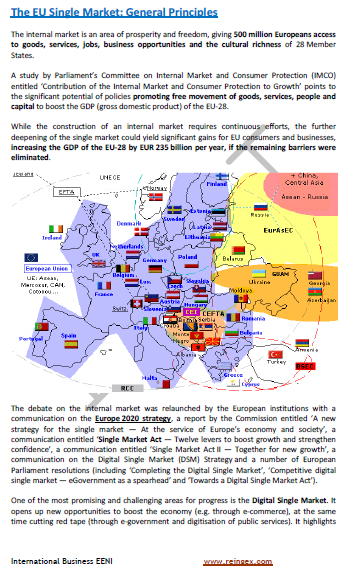 The fundamental objective of the second part is to understand the complex functioning of the European Union: the largest market of the World. 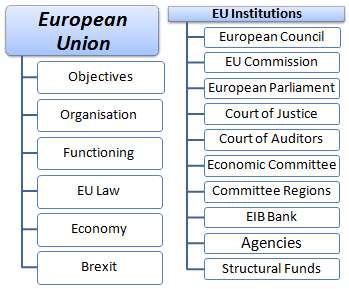 Module 2- the EU Institutions. 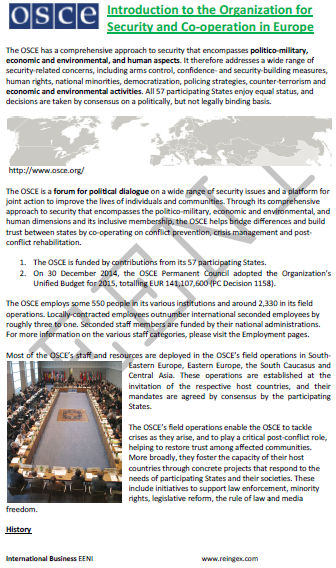 Syllabus of the Program: Structural and Investment Funds of the EU. 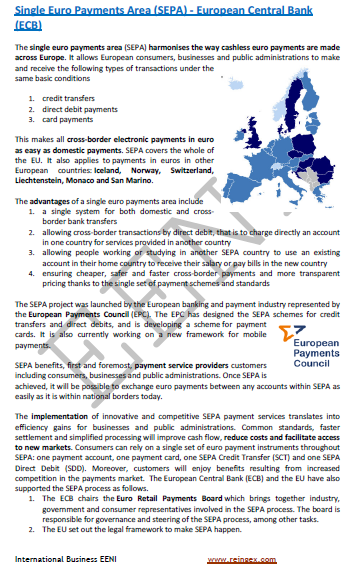 The objective of the Program “European Court of Auditors of the European Union” is to understand the role of the European Court of Auditors as financial supervisor of the European Union. 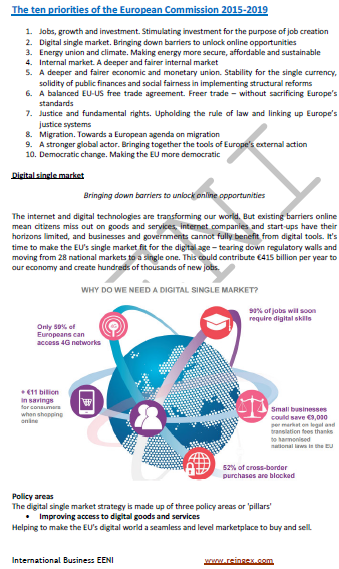 The main objective of the third part “European Single Market” is to analyse the complex functioning of the European Single Market, so that enterprises can take full advantage of the opportunities that the single market offers both to trade in products as in services. 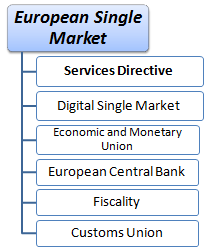 Syllabus of the Program: European Single Market. 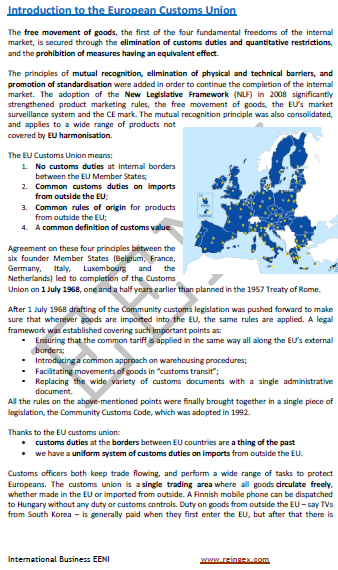 Syllabus of the Program: European Customs Union.